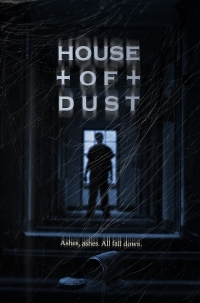 First Trailer for A.D. Calvo's HOUSE OF DUST! It's been over a year since we first posted the first stills for A.D. Calvo's House of Dust. The up-and-coming director has been busy at work finishing up the project and a trailer has just arrived, suggesting some good things. "Teen Wolf" star Holland Roden stars as Gabby, a college girl who, with a group of friends, explores an abandoned insane asylum. They "accidentally shatter canisters holding the cremains of former mental patients; inhaling the dusty ash filling the air, they're soon possessed by the souls once held within them. One, is a convicted serial killer from 1950." Insane asylums aren't exactly a new thing in horror movies but the synopsis offers up a few tidbits that are certainly uncommon and Calvo's work to date suggest that he has some great talent. We'll have to wait to see if House of Dust delivers but for now, it's definitely looking promising. No release details yet but we'll be keeping an eye on developments but for now, be sure to check out the trailer here.